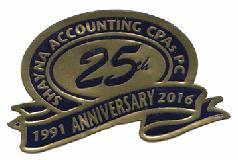 Welcome to Shayna Accounting CPAs PC. Our mission is to provide clients with superior tax services and seamless accounting for their businesses. Our CPAs deliver effective tax planning and preparation; our bookkeepers provide exceptional accounting and payroll services. These services free you to do what you do best: build your business. This site is designed to save you time by allowing on-the-spot calculations to determine spending and budget priorities, and by highlighting important tax deadlines on our calendar. In addition, the site offers dedicated web suites: personal sites where you may obtain or submit your business data at any time of the day or night.